I may not be breaking new ground in calling this one Mike’s finest hour, but I ain’t betraying the truth, either. Some of the music on here may be familiar to those who have seen the 1973 creepy blockbuster The Exorcist; but as far as I know, Oldfield did not compose the music specially for the film, and the general impressions from listening to this don’t exactly coincide with the impressions one gets from watching a renown horror flick. I do remember reading some reviews from a rather paranoid guy who was complaining about the music’s scariness; but as far as I see, the only “scary” moment on here is near the middle of side two, when Mike, apparently bored with the proceedings, suddenly begins to impersonate a werewolf (and does it pretty well, too – I wonder how he managed to do that low-pitched grrrowl?). But even that one’s not really scary – more parodic and childishly silly than anything else. 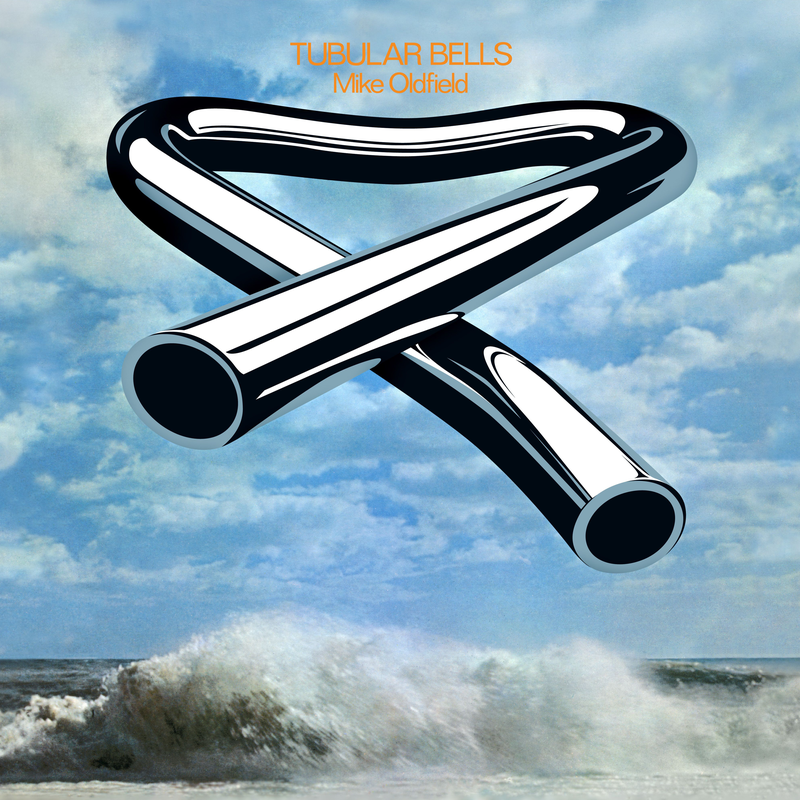 Anyway, if you don’t know it, Tubular Bells is a lengthy, two-side-long composition that is nevertheless not at all a clone of Jethro Tull’s Thick As A Brick. It is fully instrumental, apart from the werewolf imitation and a short bit at the end of side one which I’ll get around to in a minute, and it doesn’t really rely on the principles of musical dynamism; most of the themes are looping and repetitive, so that Tubular Bells have often been called one of the first ground breaking New Age releases. “Proto-New-Age”, I think, would be a better term, not only because it precedes the whole movement by a good six or seven years, but also because there are certain differences. First of all, looping and “staticness” of music are not necessarily an exclusive New Age priority; New Age and “ambient” music are supposed to be nothing more than tasteful ‘aural wallpaper’, while Tubular Bells amount to a full-fledged composition (suite? symphony? ), merging together jazz, folk, rock, pop and classical elements. No wonder it has been since redone in an orchestral arrangement – and could you imagine Brian Eno or any “ambient master” reinvent their vintage ambient works with an orchestra? But enough with the terminology definition. The music on here rules. Not in a grandiose and cathartic way, of course – none of the parts move me to tears or anything – and some parts of this are actually rather self-indulgent (I mean, doesn’t it sometimes seem that Mike was simply so puffed up and proud of having the possibility to demonstrate his mastership over the 28 instruments he plays? ), but both overall and in details, this is a pleasant listening experience. It doesn’t carry you away to fantasy worlds, but it puts you in many different moods, and it’s diverse enough to guarantee a lack of boredom. Along the way, Mike adds some classical acoustic guitar parts; a couple harder-rocking sections with fat distorted guitars that do not at all sound tame; and a couple grotesque pop excursions – his werewolf howlings, for instance, are overdubbed on a catchy, bouncy, poppy melody. The best parts, for me, are the side endings. Particularly the first side – Mike goes into a strange looping synth rhythm, and then, as he adds instrument over instrument in a grandiose build-up section, one of his assistants loudly announces: ‘grand piano’, ‘glockenspiel’, ‘base guitar’, ‘two slightly distorted guitars’, ‘Spanish guitar’, ‘mandolin’, etc., and ends it with a flourishing ‘Tubular Bells’! Maybe this is self-indulgent, but even without the voiceovers, I love the way the build-up is constructed – and the bells near the end crown it all off. Oh, this is also the only section to feature some female backing voices, led by Mike’s sister, Sally. And as for the second side, after all the “pretentions” it suddenly ends in a lightweight, cheerful folkish jig – not with a tremendous power chord, or a grandiose orchestral climax, or a glorious panorama of Sounds of Nature: just a funny little jig. So much for pretentions. If only the album featured a couple “heart breaking” passages or a couple places that would really “rock out”, the album would be enough to upgrade Mike to a higher section of the site; but still, with my expectations a little lowered, this is as perfect a piece of ‘proto-ambient’ music making as it ever gets. No wonder it shot to #1 in the UK, although it also plagued Mike’s further life – so much, in fact, that he even recorded two “sequels” to this album in the Nineties. Vastly inferior, of course, which is only natural.